I hope you all had a fantastic Halloween! My adorable nephew Emerson sure did! It was his first one, and my sister and I worked on his costume together :) I whipped up his hat the other day and she crafted the rest out of stuff she already had. I mean, come on, how freaking cute is he??? So cute. 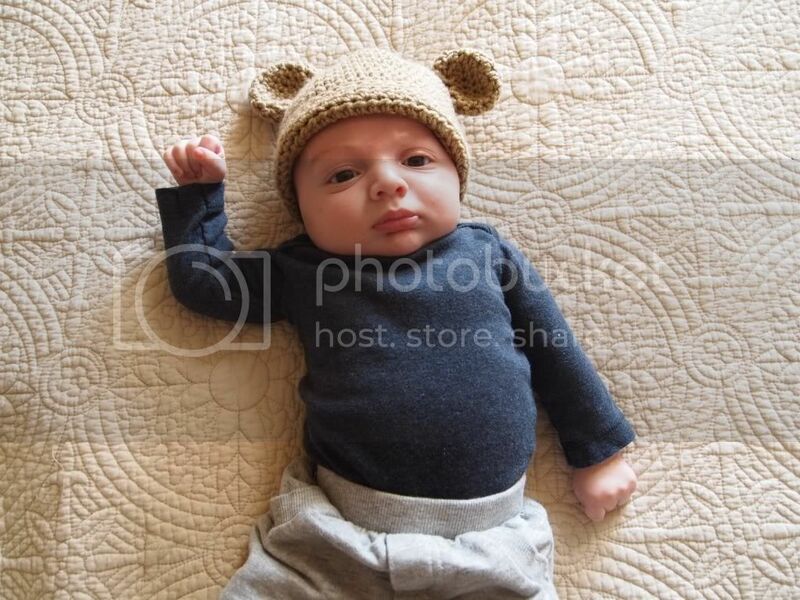 She also sent along some photos of Emerson in the very first thing I made for him, this adorable little bear hat! (here's a link to the pattern) Look at those cheeks!! I worked a little shorty shift today, and then headed home to hand out candy to trick-or-treaters. I wasn't going to dress up, but last night I decided to try to throw something together! I tweeted about needing some ideas, and I got some awesome ones, but a "cowgirl" was the easiest for me to do! 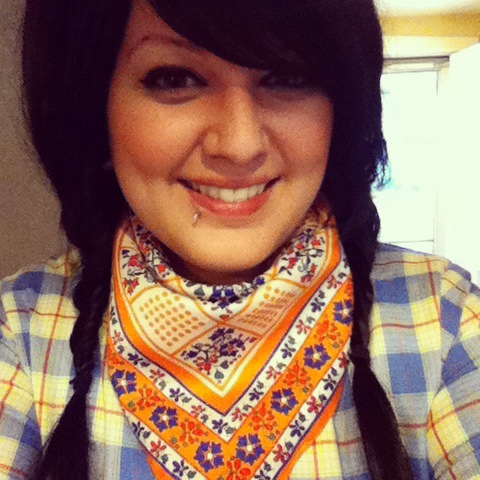 I threw on a plaid shirtdress, a vintage scarf as a bandana, and did some fishtail braid pigtails. I had a good time passing out candy, although I was all alone since Chris was at work. The kids were adorable, and super polite (which is a surprise, last year didn't go quite so well!). All in all, it was a nice-- if uneventful-- Halloween! How was yours?? Did you dress up? I'd love to see your costume! If you blogged about it leave me a link in the comments!! PS: The November sponsors are up over there on the right! Check them out, and leave them some love!! Your braids are uber cute. I wish my hair was long enough to do braids like that. I did some zombie inspired makeup for trick-or-treat, which was fun and exciting. You are so stinkin' cute! I really love that dress & scarf together. And I love the Yoda, too adorable. That Yoda costume is TOO cute! I know there are store-bought versions but I really like yours so much better. Plus -- the hat would be cozy and warm too! I didn't dress up this year but I did hand out candy. I had some really cute trick-or-treaters. My favorite was a toddler who was dressed as one of the three-eyed aliens from Toy Story. His hood kept falling down over his eyes! Thanks again for the sponsorship opportunity too! That yoda costume is so cute! Also, I love your Etsy shop, I'm gonna have to bookmark it! seriously, I have never seen a cuter baby. That Yoda costume is the best EVER. Ah! cuteness overload! Eeeek! 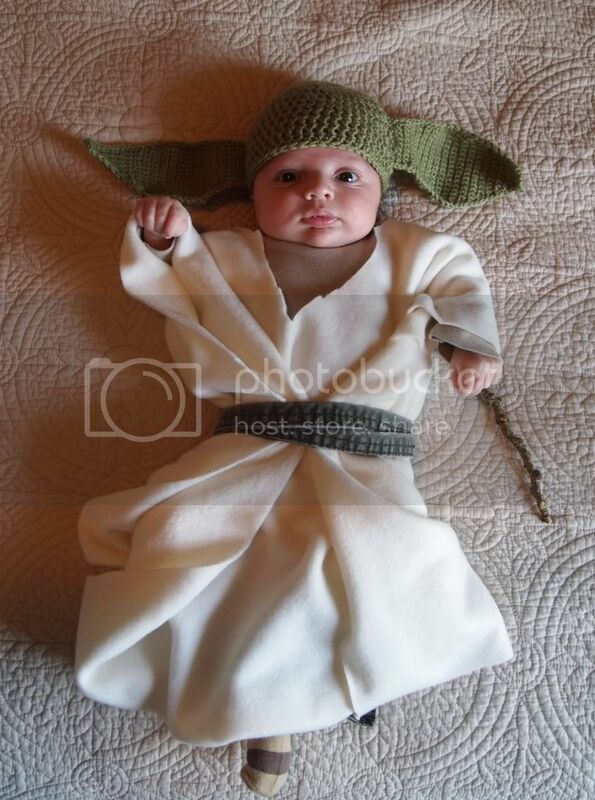 Love the Yoda costume, TOO CUTE. And you are adorable! SO cute! 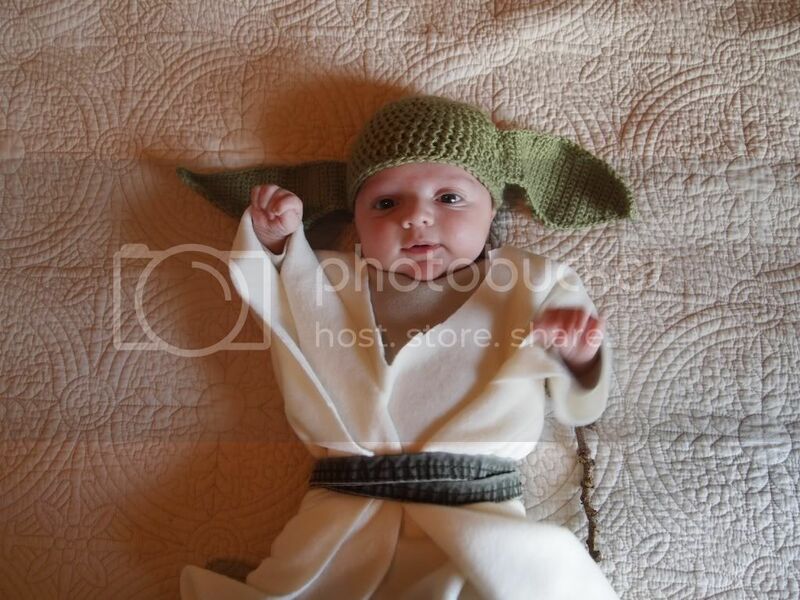 my boss' baby was also yoda for halloween and i almost died over his costume it was so cute. 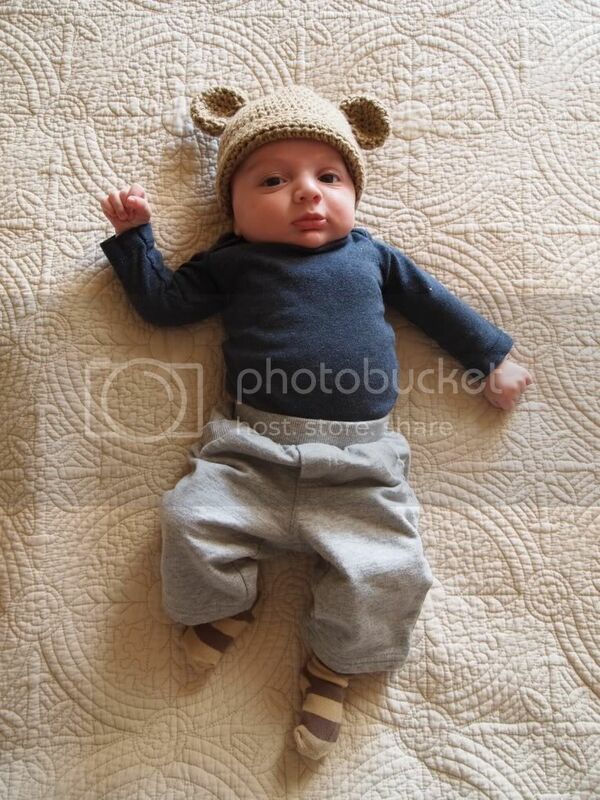 and the bear hat is adorable. babies are just too cute. Super cute costume. And that baby? OMG. Squee. your nephew is the cutest! i was holly golightly from breakfast at tiffanys, but i haven't gotten around to blogging a photo, haha. i think i did put one on instagram!